Buy original canvas paintings from the artist direct! 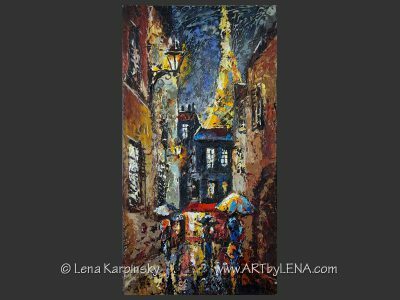 Welcome to ART by LENA — the official website of Canadian artist Lena Karpinsky. 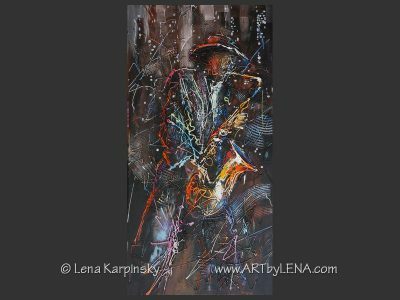 Lena Karpinsky was born in Moscow, Russia and now lives in Toronto, Ontario. 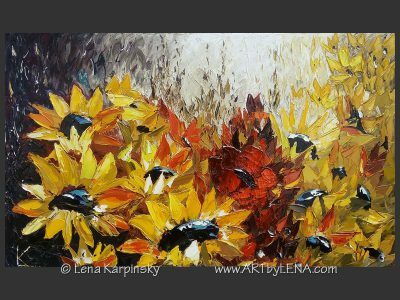 Lena works primarily in oil and acrylic on canvas with music paintings, landscapes and flowers her main focus. 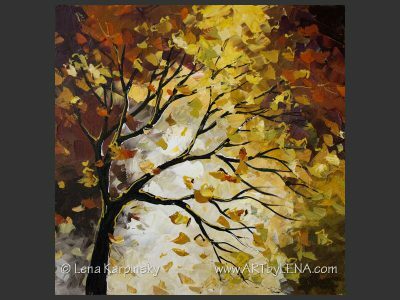 Lena’s strong sense of color is evident in all her artworks and especially in modern abstract paintings. With artworks in collections in Canada, USA, the United Kingdom, Europe and Asia, South America, Africa and Australia she is a contemporary Canadian artist with international renown. Buy Now or Order a Remake – in the size you need! Check how the painting will look in your room before placing an order! Make digital photos of your living / family room, bedroom, office or hall, restaurant, bar or music room. Email the photos to us. Lena will make some digital sketches in Photoshop and will get back to you with her suggestions. We’ll check the layout and sizes together so you’ll be sure that you are getting exactly what your room decor needs! Do you need to frame the canvas paintings? 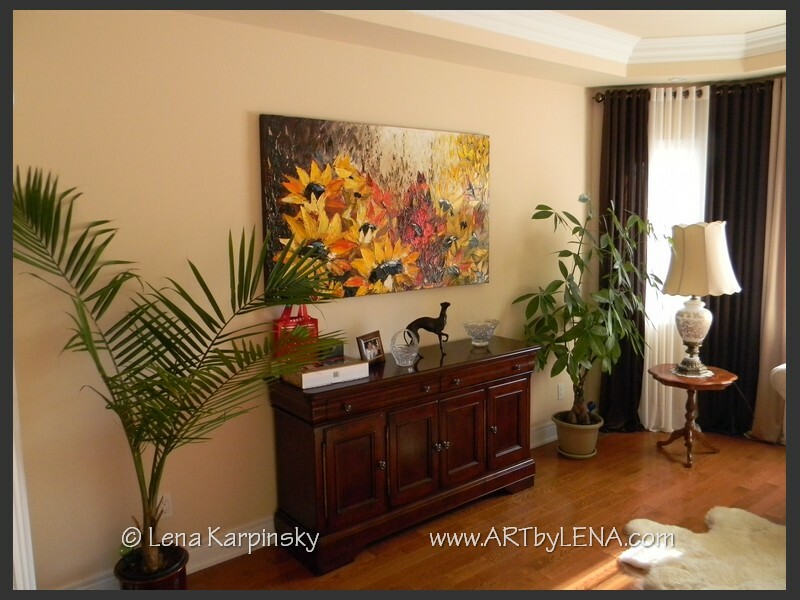 Will unframed art look well in you room? See the examples and decide! 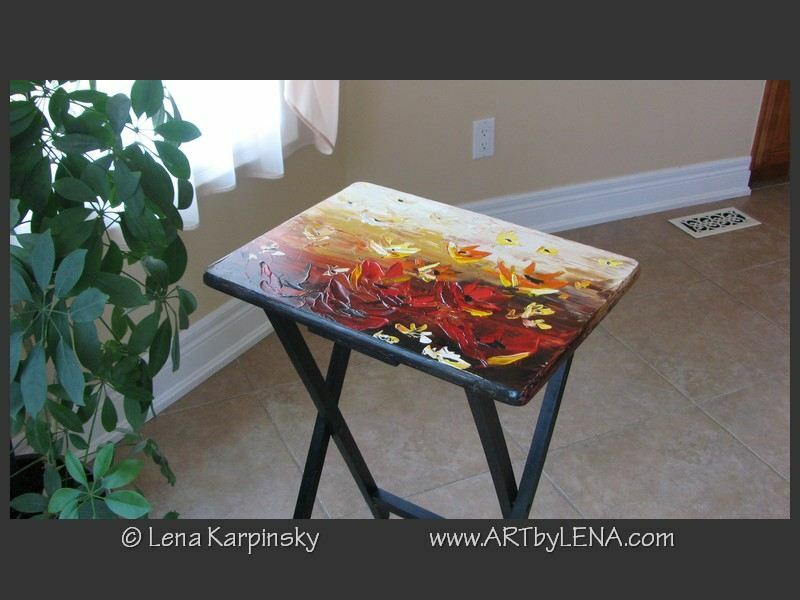 I painted flowers... on a folding snack table! Decorate your walls with floral artworks. 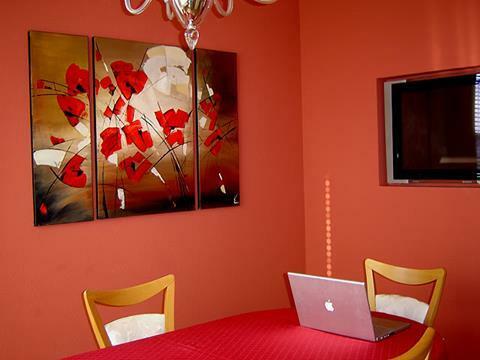 Original canvas paintings with flowers for family room, living room and bedrooms. ART by LENA on Social Networks: Follow to get updates!